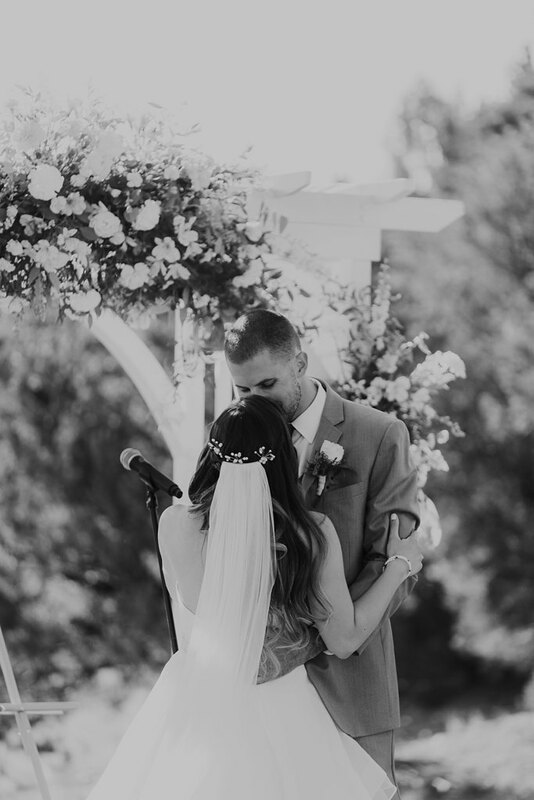 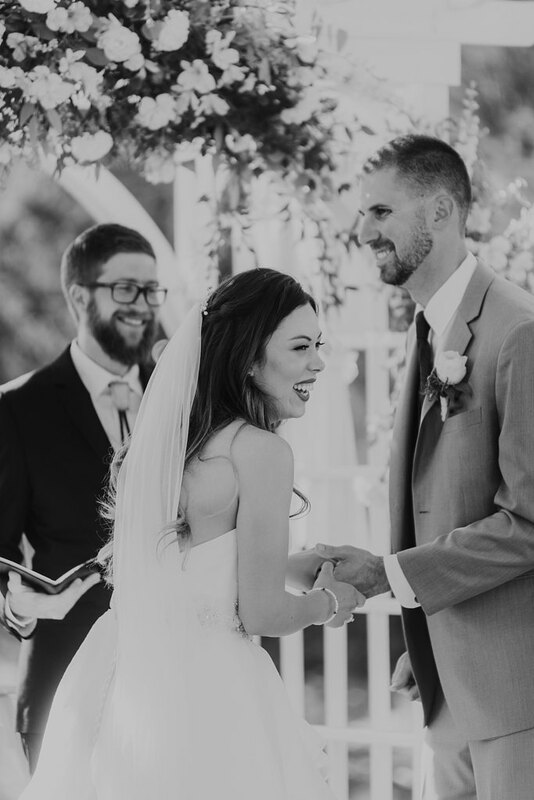 In 2010, Matthew and Kaya met for the first time in Santa Rosa, California through a mutual friend and it was instantly love at first sight. 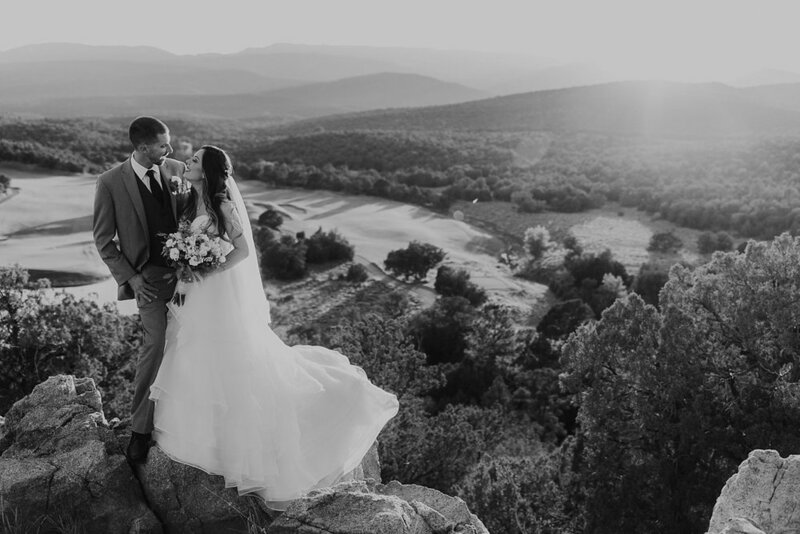 These lovers found that they shared a passion for music, craft beer, and adventuring. 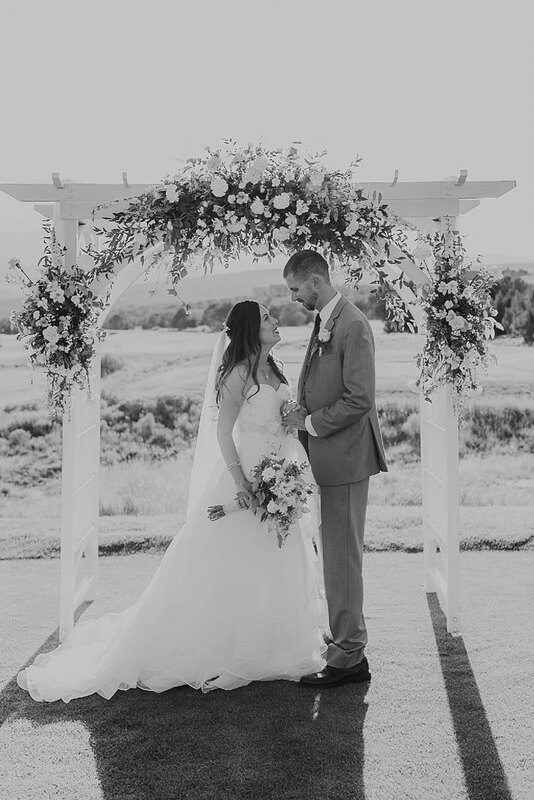 Their love story continued as they moved from California to Nevada to Oregon while Kaya was still in college. 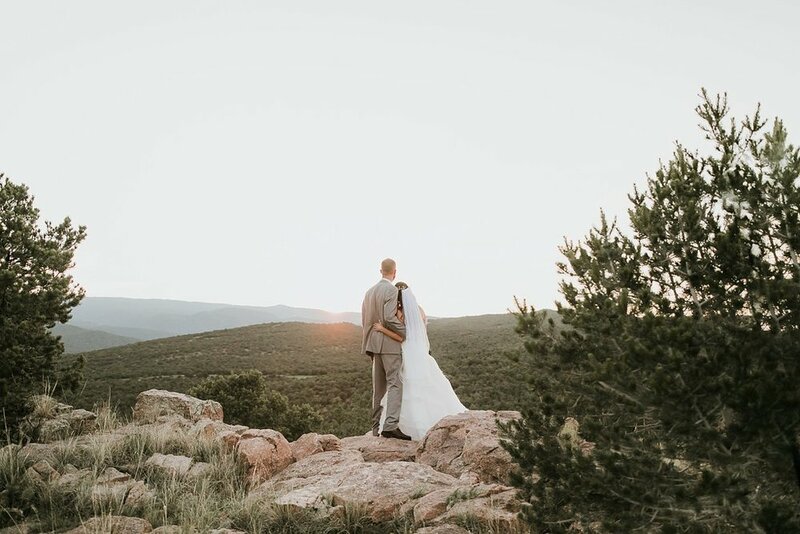 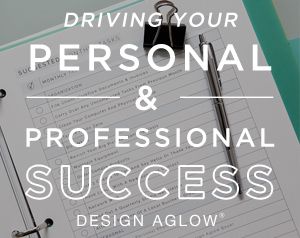 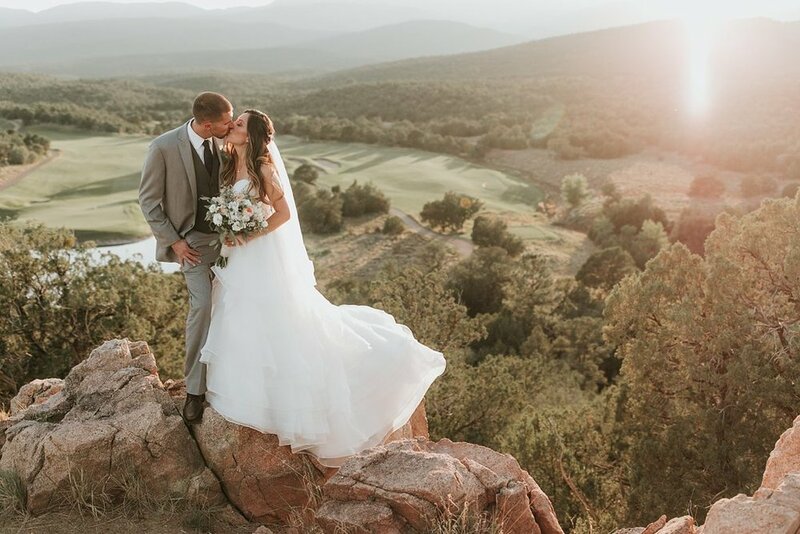 They soon found their way to the ever charming Santa Fe, NM for new job opportunities and fell in love with the southwest’s breathtaking views and gorgeous sunsets. 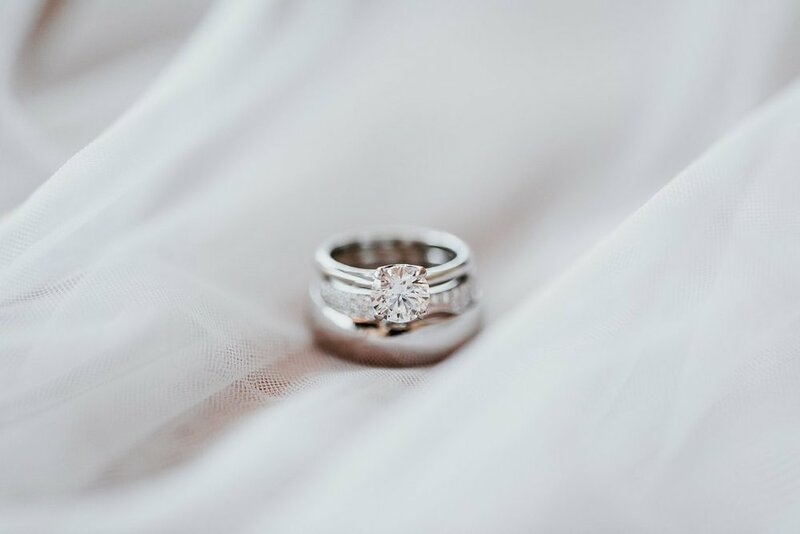 On a little trip back to Oregon in August of 2017, Matthew proposed at the beautiful Cannon Beach! 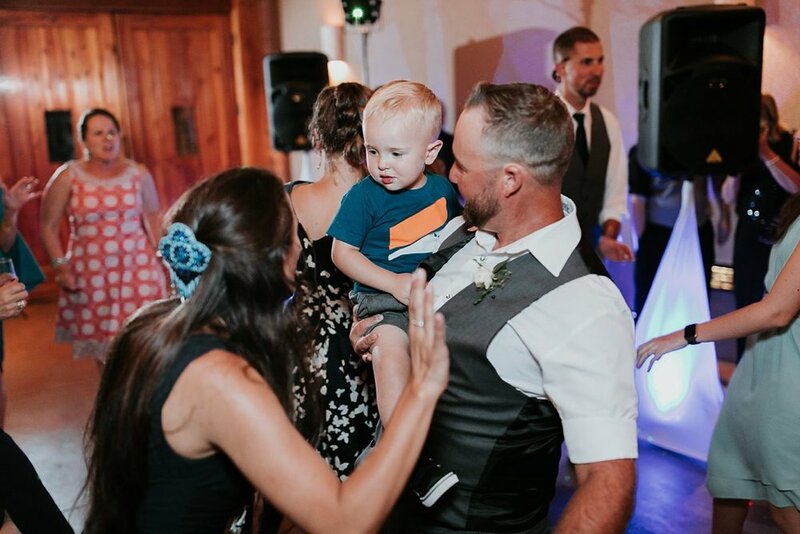 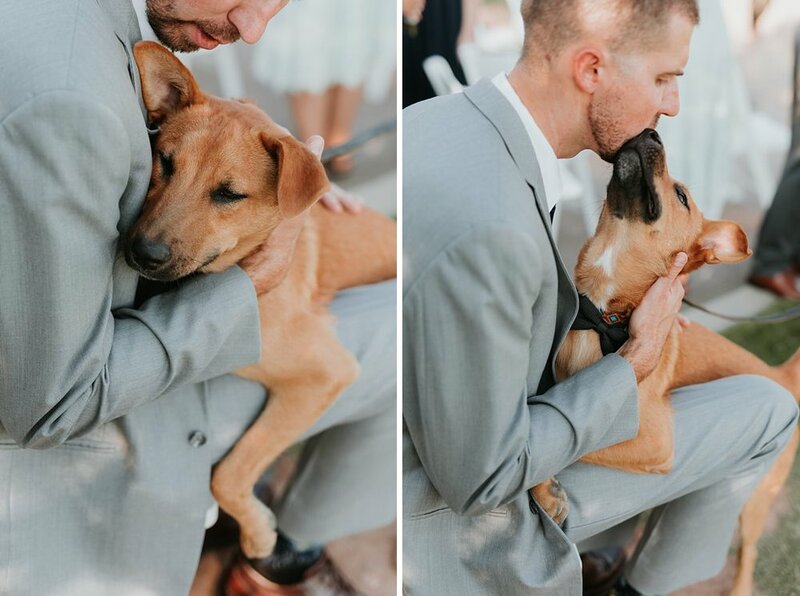 Matthew and Kaya now live in our amazing state with their two cats Thor and Rollo and their sweet pup Kona, who made a guest appearance in their wedding! 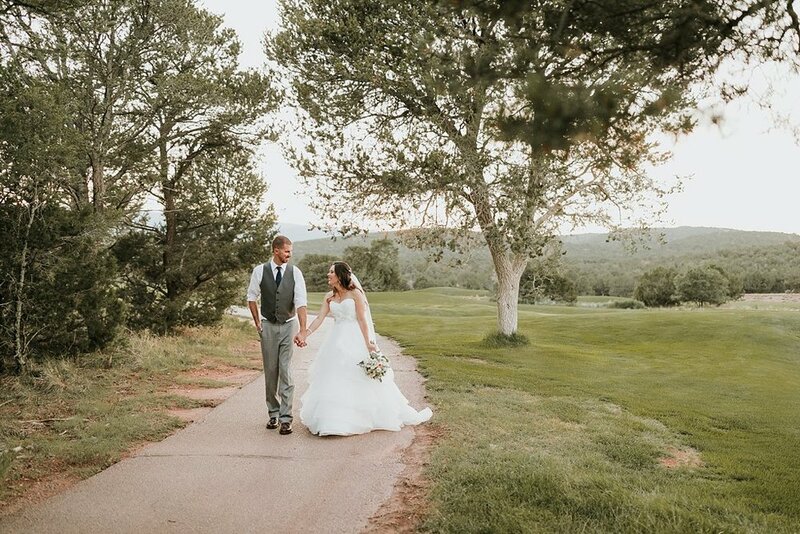 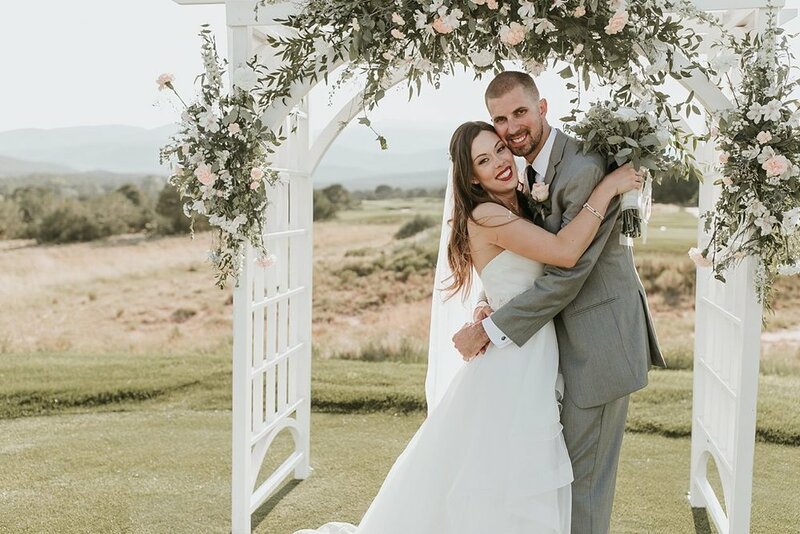 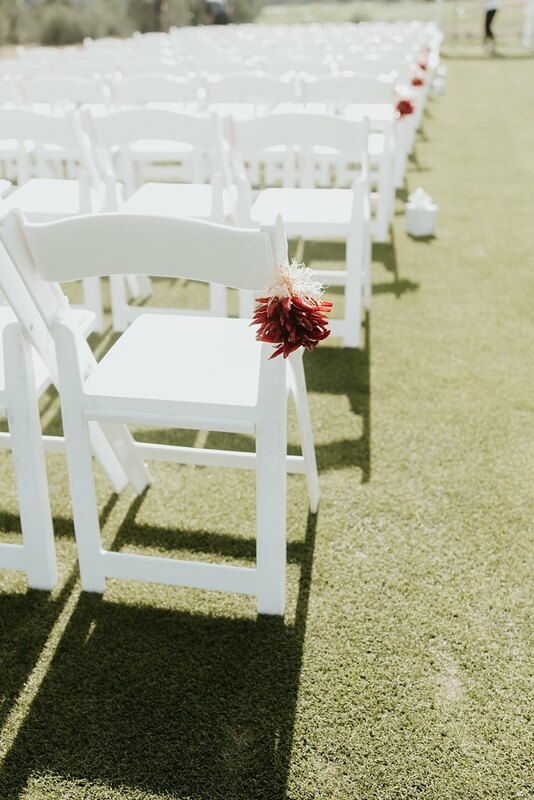 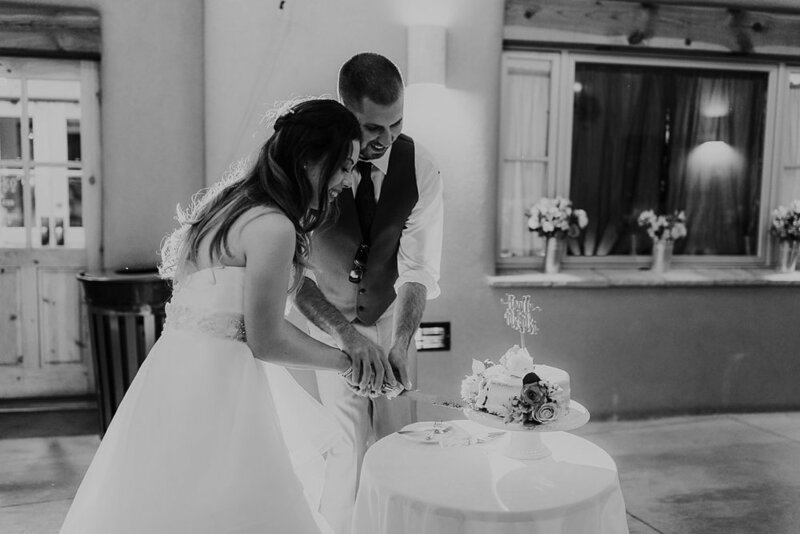 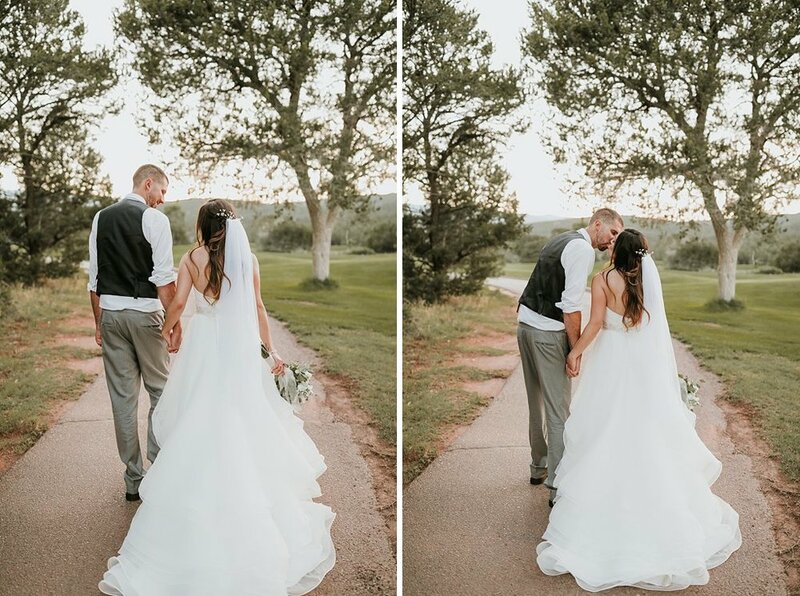 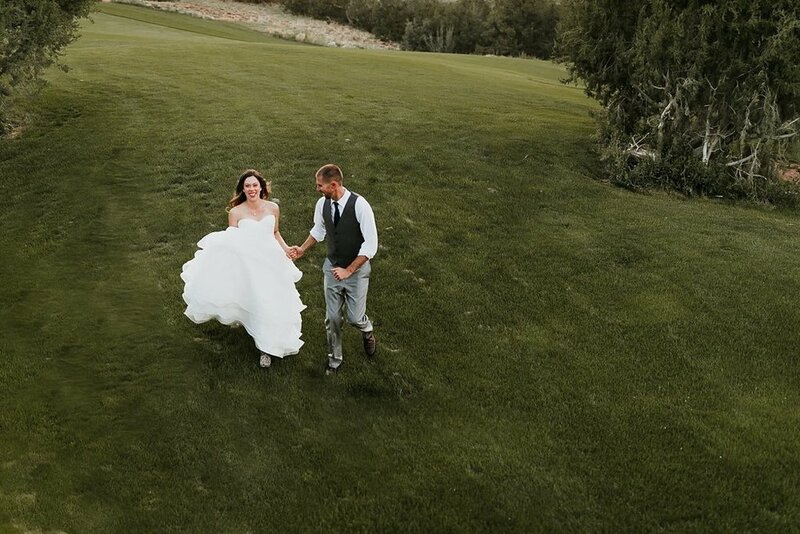 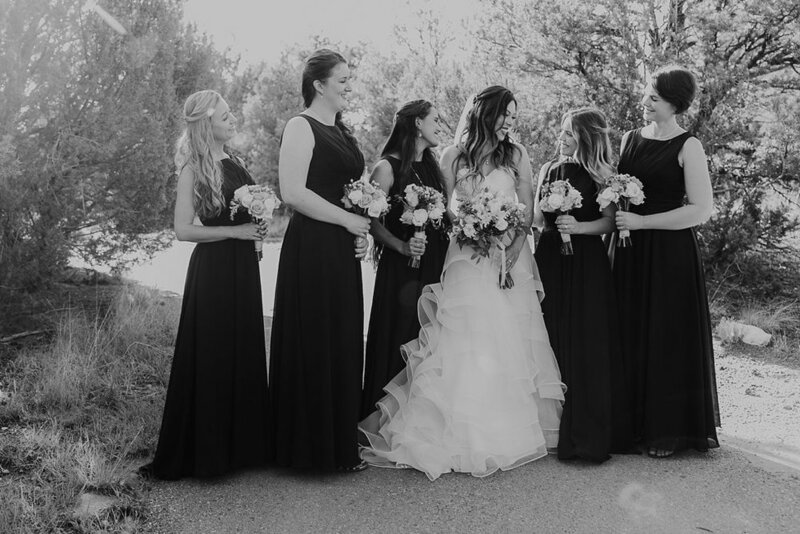 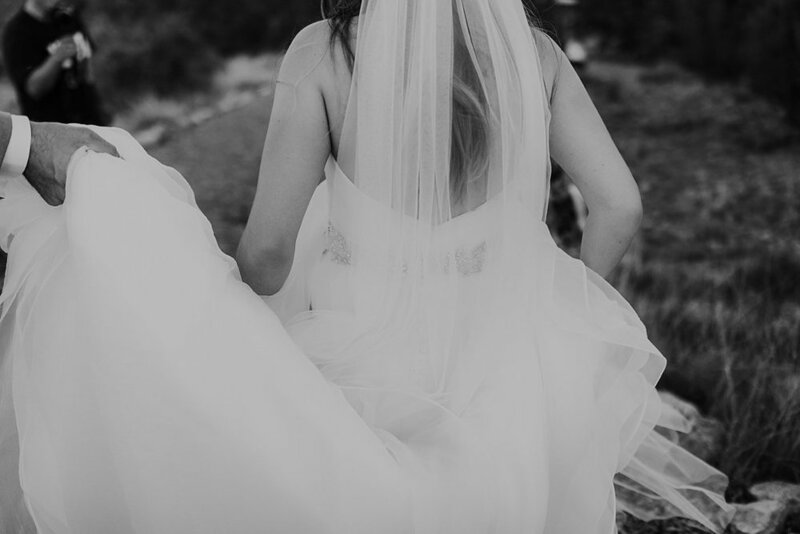 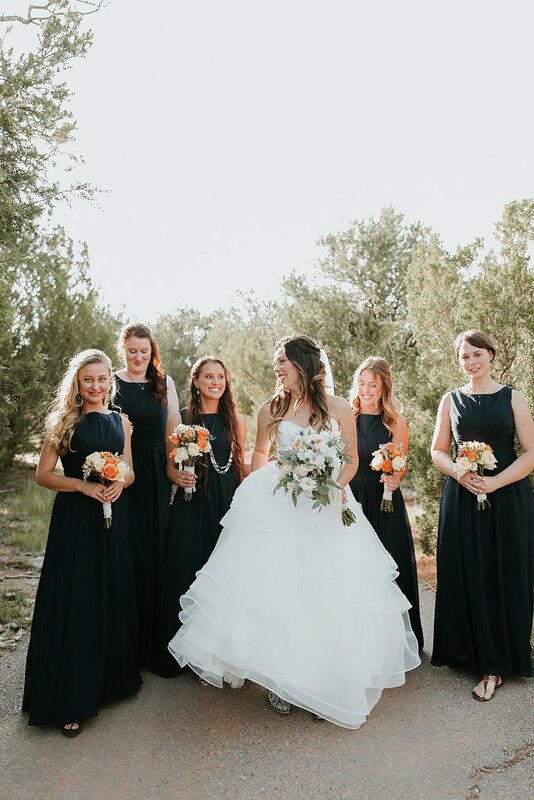 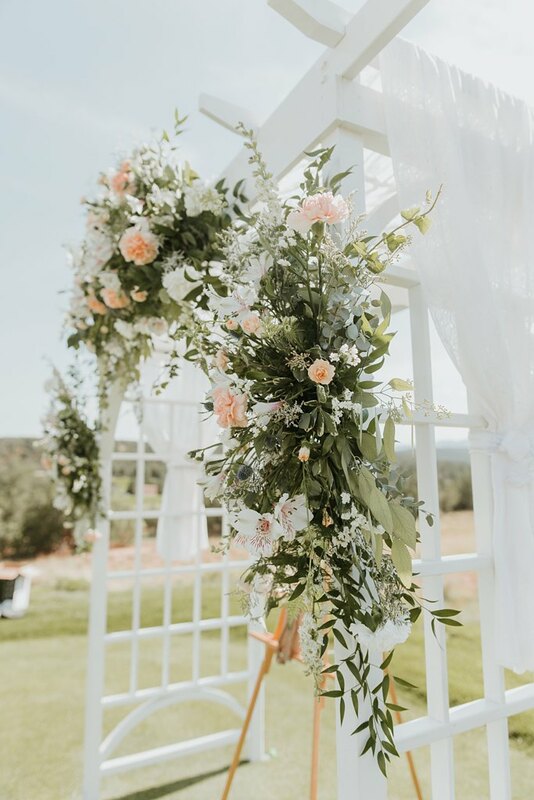 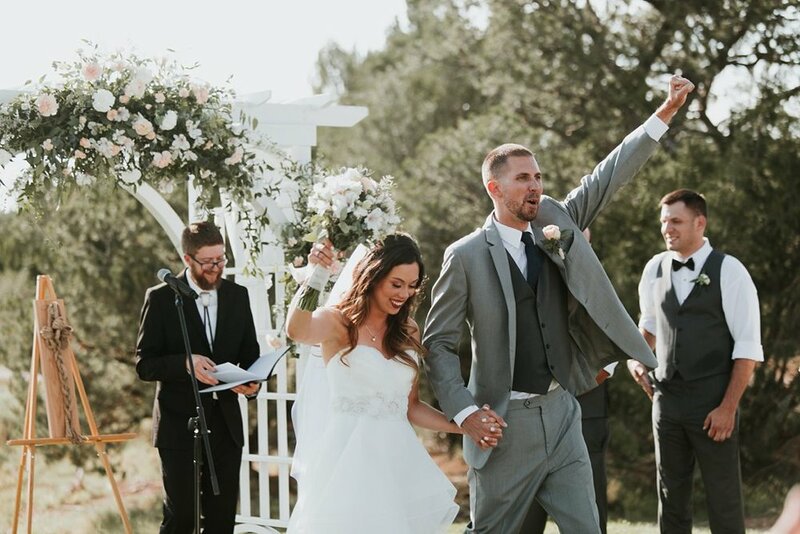 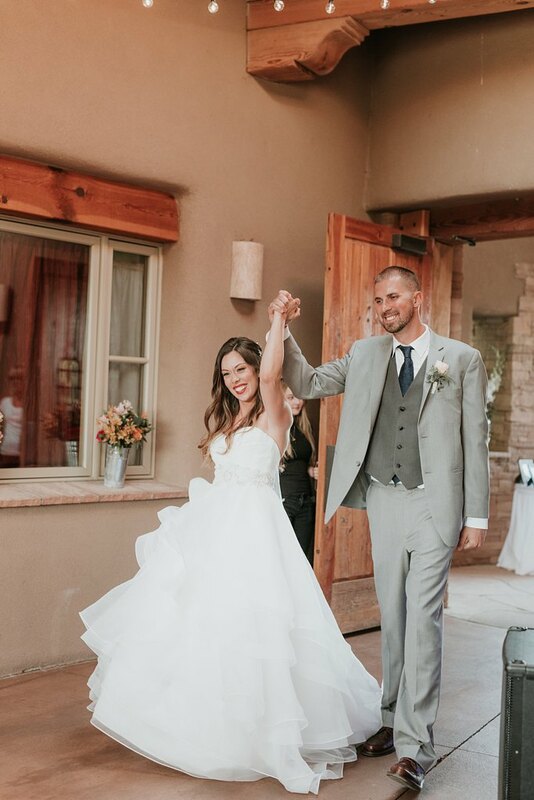 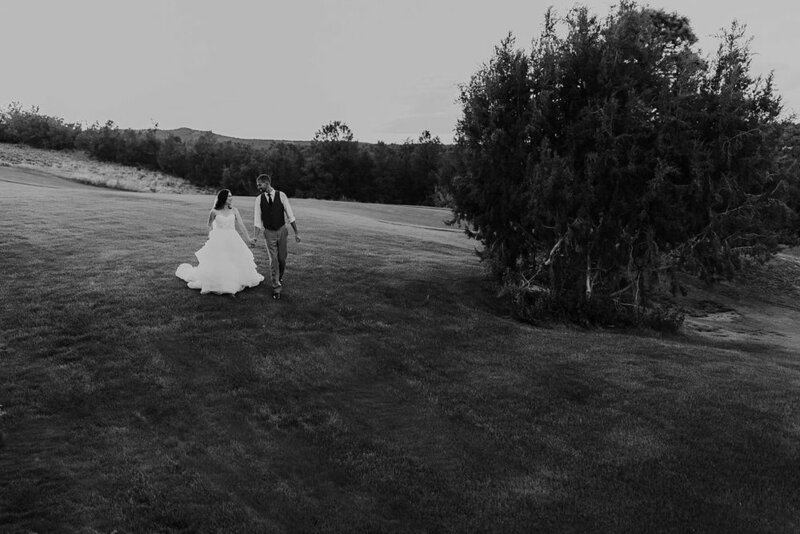 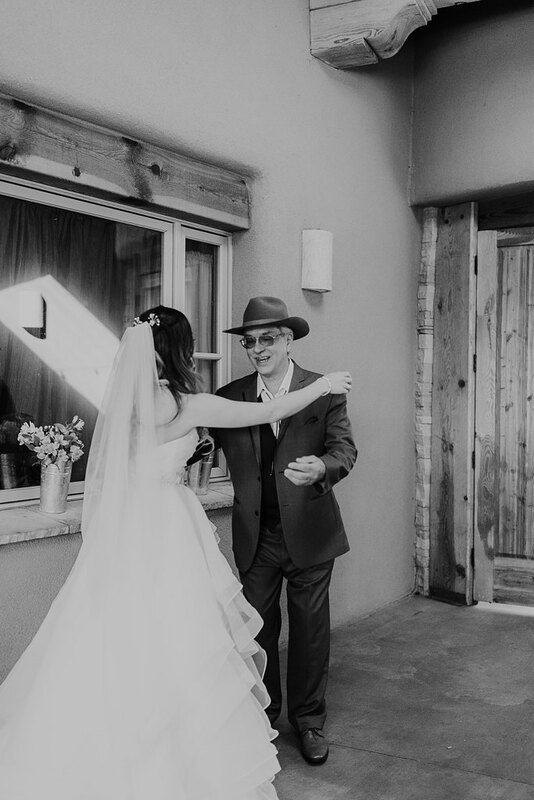 We adored their late July wedding at Paa-ko Ridge Golf Club in Sandia Park, NM. 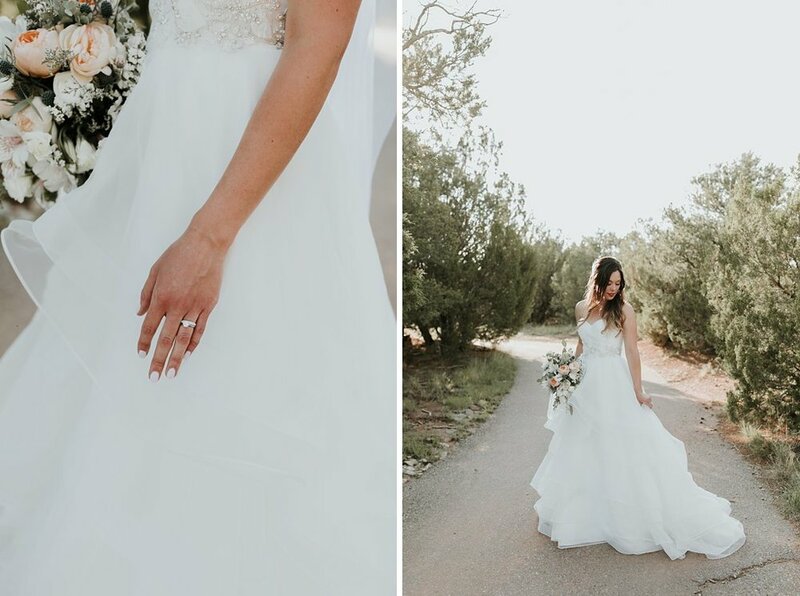 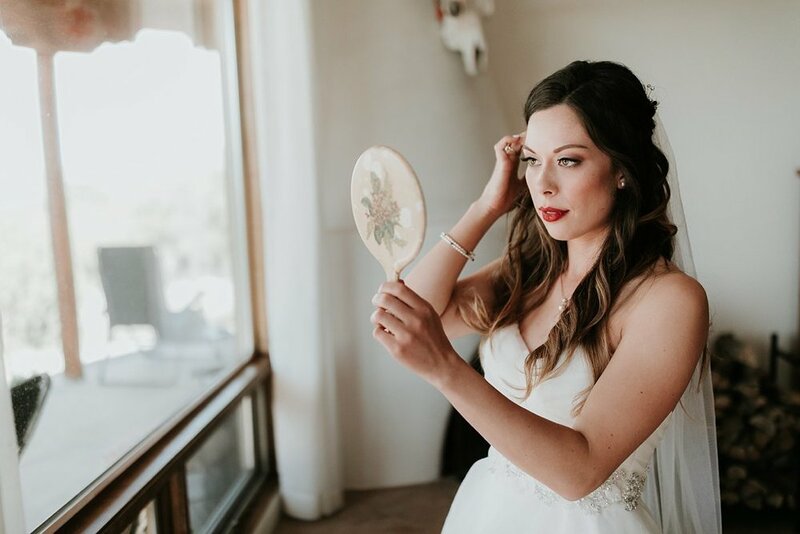 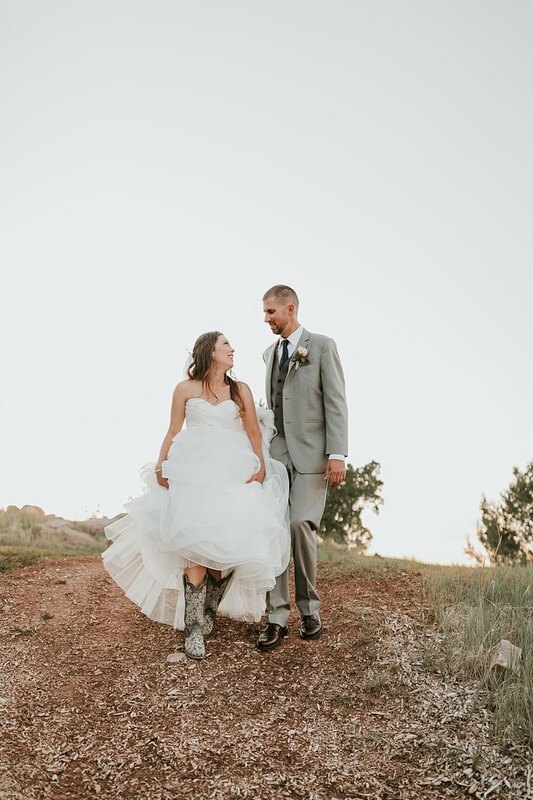 Bringing lots of Southwestern flair, Kaya wore incredible cowboy boots under her classically elegant Casablanca Bridal gown and paired her entire look with a bold lipstick! 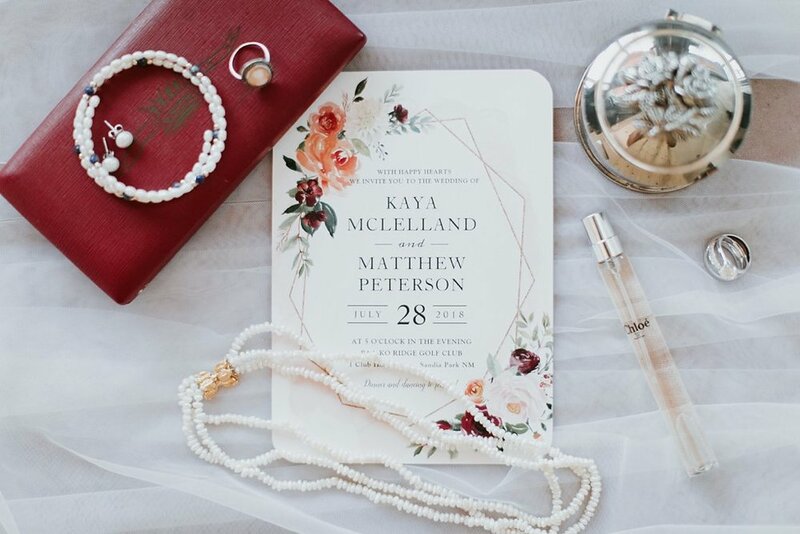 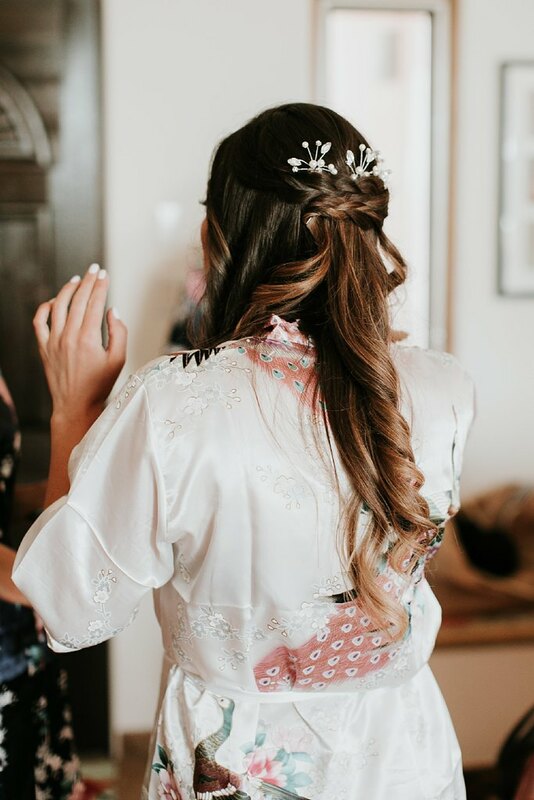 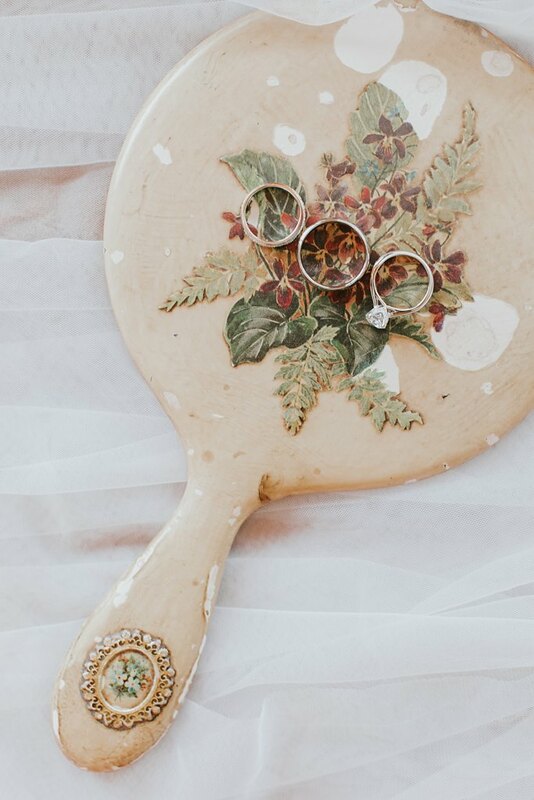 To top off her amazing bridal details, Kaya included her grandmother’s vintage, hand-held mirror as her something old (giving us major feels). 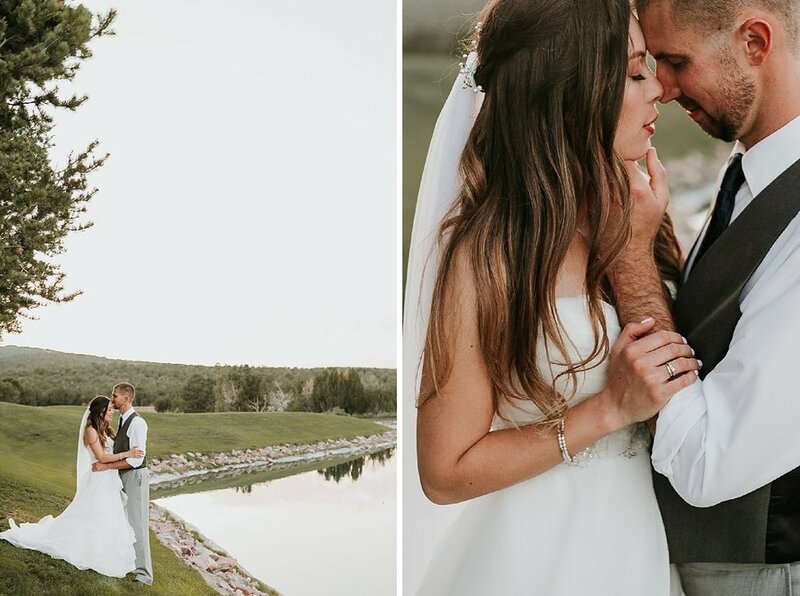 After their amazing little ceremony, these babes snuck off with us for some epic, on-the-edge-of-a-mountain romantics! 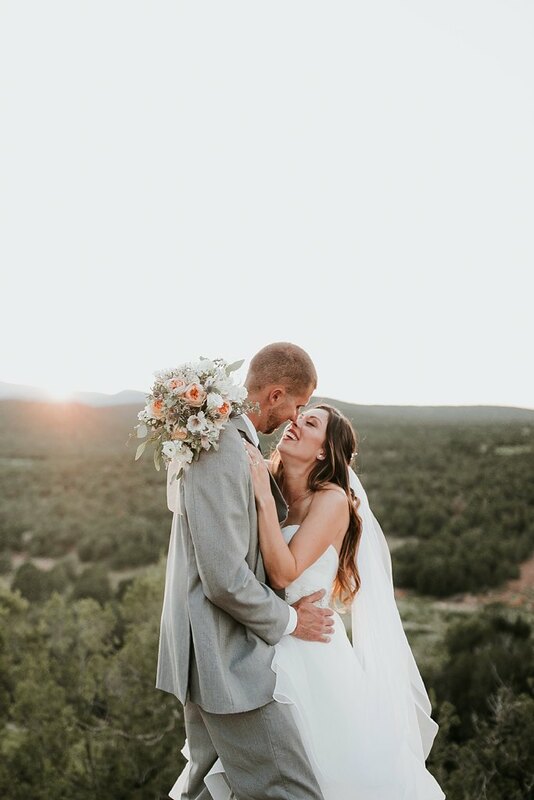 We have so much love for these two and their adventurous souls, congrats babes!